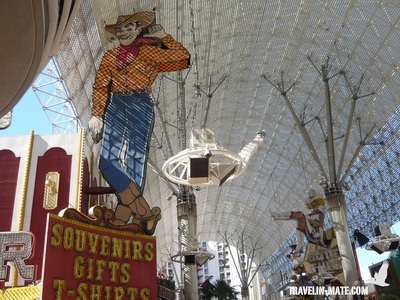 You easily can spend your whole stay in Las Vegas going from one hotel to the other exploring each single attraction. Nevertheless, there are some of them really standing out and others you can pass which should give you enough time to relax at the pool, explore the surroundings or to go shopping. In the following I listed the best sights and ideal time you should go there. Don’t forget to take your hiking shoes since you are facing long distances. Many other guidebooks recommend the bus at the Strip. This one is actually only helpful in the morning or early afternoon before it gets stuck in traffic along Las Vegas Boulevard for hours. Moreover it stops almost every 100 yards. 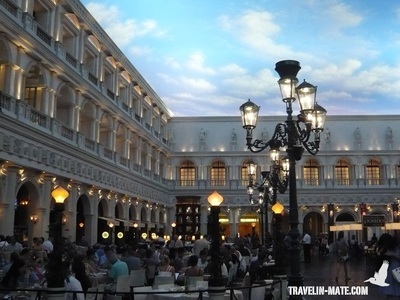 The Venetian and Palazzo are two luxury hotels belonging together and are one of the largest five-diamond hotels and resort complexes in the world. The outer facade along the Strip features a life-like replica of St. Marks Campanile and a small section of Canale Grande. 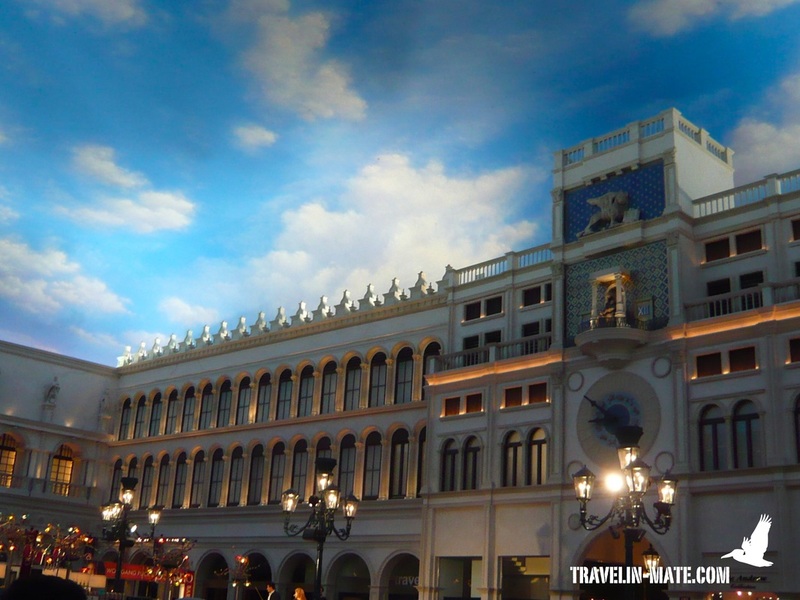 Additionally, the hotel offers Gondola rides with singing gondoliers to visitors available outside and inside for $15 per person; but in my opinion they are not worth it. The gondola rides are limited to a very small canal section in both areas and last only 4 minutes. You definitely have more of the attraction by strolling along the inner canal watching the people in the gondolas and listening to the singing gondoliers from one of the canal bridges. Walking inside you are passing replicas of Venetian storefronts and streets with a painted fresco overheads giving you the impression of enjoying a sunny day in Italy. All the walkways are coming together at St. Marks Square where vendors offer Venetian glass figurines, trinket boxes and other souvenirs on their carts. The Grande Canal Shoppes are connected with the The Shoppes at Palazzo that are located behind the end of the canal. I recommend exploring the inner complex during the day and come back for the outer facade at night. a visit to Wynn/ Encore. The combined hotel complex of Wynn and Encore doesn’t offer spectacular attractions but is pulling visitors anyways. Amongst other things the resort is featuring a nightly light, music and multimedia show at the Lake of Dreams and its mammoth curtain waterfall. The best way to enjoy the view is sipping cocktails or other drinks at Parasol Down Bar on the lake level, or if its packed from the circular escalators surrounding the bar. Nevertheless, the resort is worth a visit due to its interior and design with lagoons, waterfalls, terraced landscapes, floor-to-ceiling windows, and skylights. As soon you entered the wide hallway you are lead through an archway along exclusive shops to a pathway of trees and flowers. Next to that, I guess there are some guys amongst you who want to stroll around the top-top-notch shopping esplanades that are offering a mix of famous luxury brands and edgy fashion, such as Brioni, Chanel, Dior, Manolo Blahnik, Cartier, Jean Paul Gaultier, Oscar de la Renta, Louis Vuitton, Jo Malone, etc. Furthermore, the hotel resort is a favorite spot during night since two of the best nightclubs are located here. the ‘Sirens of the Treasure Island’ show. 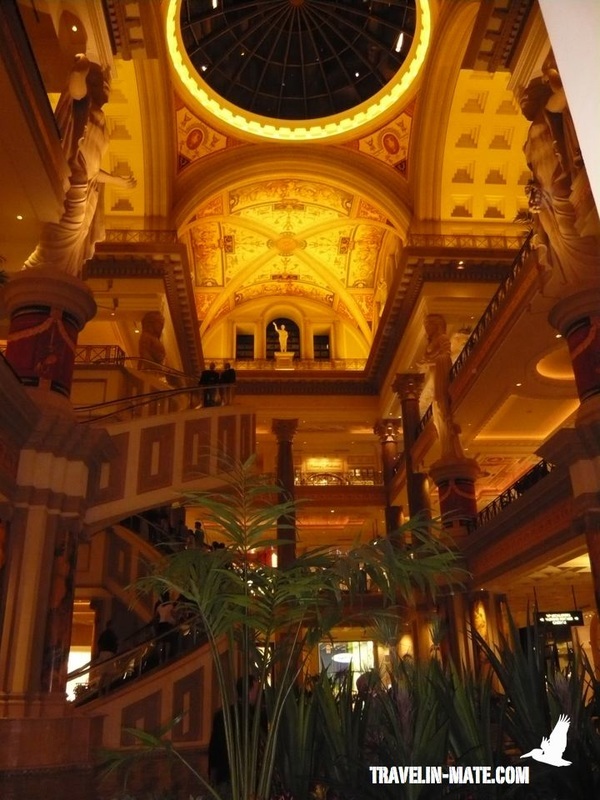 Similar to Wynn and Encore the Caesar doesn’t have an outside show or spectator magnet but in my opinion the hotel’s design and interior and its Forum Shops make it to an attraction itself. And to be correct there is actually a daily show inside the Forum Shops at the Atlantic Fountain in front of the Cheesecake Factory. Every hour starting from 10 a.m. the ‘Fall of Atlantis’ fountain show captivates visitors with special effects recounting the myth. Furthermore, the fish in the aquarium attached to the fountain are fed twice a day at 1:15 and 5:15 p.m. At this time staff is around answering all questions about the tropical puffers, flounder, sharks and other inhabitants. Coming here during the day is great since it is not as crowded and you have more time to focus on the details. Fat Tuesday, a Jamba Juice for grown-ups! (The shops is located next to Atlantis fountain). 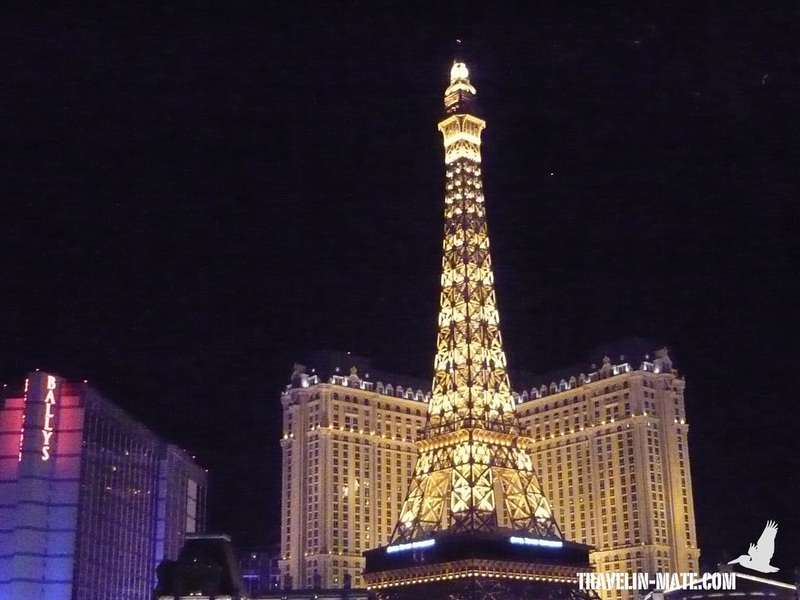 The world famous hotel’s free water show has been celebrated in many films, television shows, photographs and articles on Las Vegas. They became an icon of the city and the prime destination for proposals and weddings. 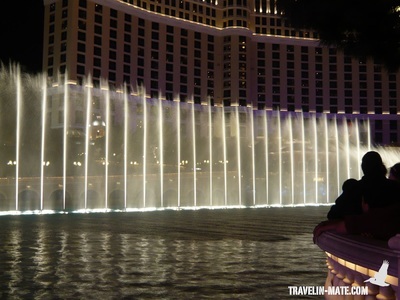 Every day crowds are coming together every half an hour or 15 minutes (after 8 p.m.) to experience this jaw-dropping event where choreographed water is moving to music. 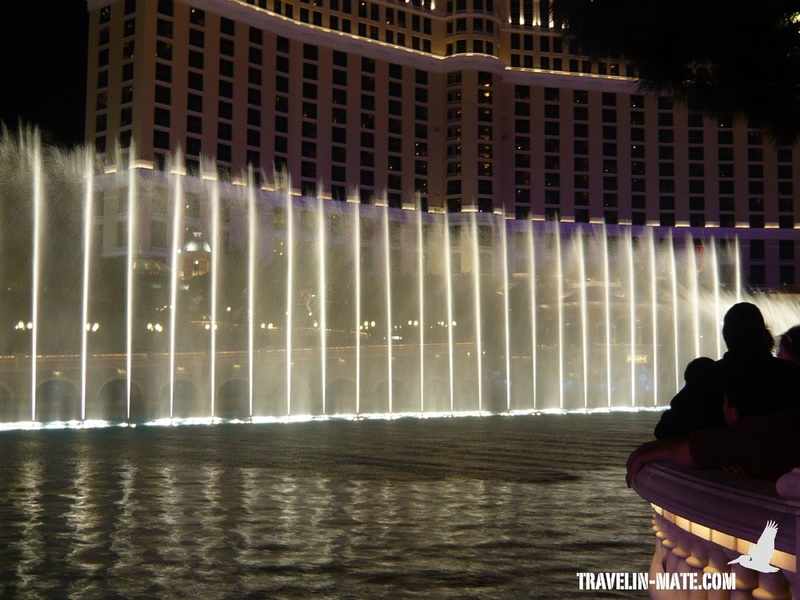 If you want experience the fountain from a different angle either go to the Fountain Bar @ Bellagio, to the arcades to the right or book a room with fountain view at Bellagio, The Cosmopolitan or Vdara. Inside the hotel, its elegance and the giant flower petal chandelier that greets you in the lobby will overwhelm you. 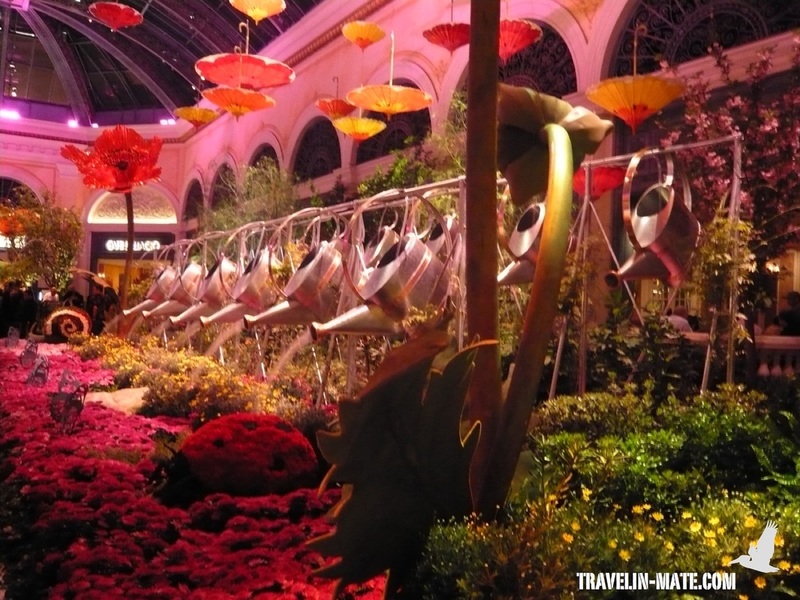 Passing the lobby you will approach the ‘Bellagio Conservatory and Botanical Gardens’ with its horticulture shows with thousands of flowers, trees and plants that are being changed five times a year (Chinese New Year, spring, summer, fall and winter). Next to the gardens and the fountain art lovers should visit the ‘Gallery of Fine Art’ with changing exhibitions. Past exhibitions have included: Monet masterworks, Andy Warhol’s celebrity portraits, Faberge treasures from the Kremlin and Alexander Calder mobiles. The gallery is open daily from 10am – 6pm and has an admission of $15 per person. 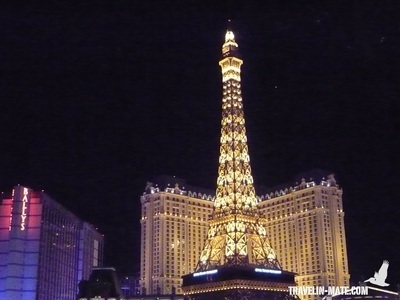 Due to the fountain show I recommend to visit the Bellagio during night and combine it with a visit to the City Center and Paris. 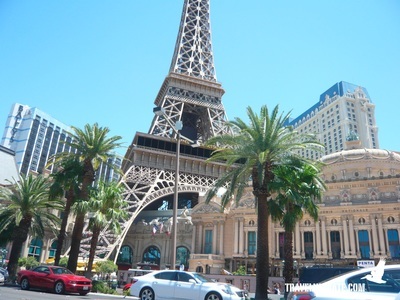 Eiffel Tower @ Paris (outside) – great photo motif but I wouldn’t pay admission to go to the top and rather visit the bar inside or Mandarin Bar for a spectacular outlook over the city. 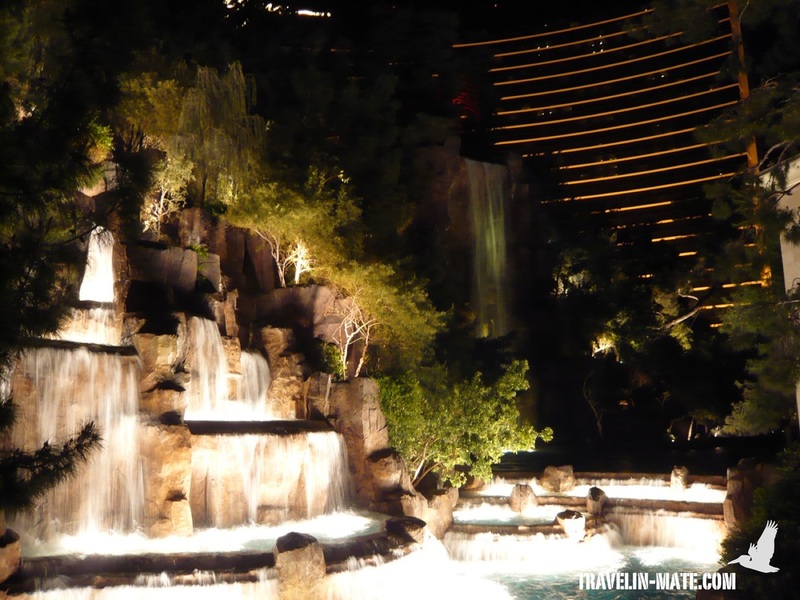 Water features @ Aria and Crystals shopping center – if you are impressed with the Bellagio fountain and trick fountains you should visit the latest constructions of WET Design in the City Center. Roller coasters @ New York New York – if you love to ride roller coasters and the attractions at Stratosphere Tower are too far away try the NYNY roller coaster instead. It isn’t as unspectacular as it looks from the outside … promise. Individual Tickets: $14; Scream Pass: $25 (includes: all day ride pass, $2 off 5x7 photo); Family Fun Flight for Four: $60 (Includes four individual ride tickets and 2 5x7 close up photos). 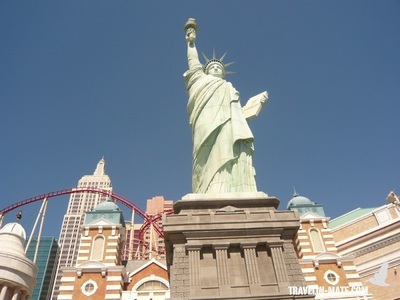 Visiting NYNY combine the trip with other hotels like the Mandalay or MGM that aren’t far away. 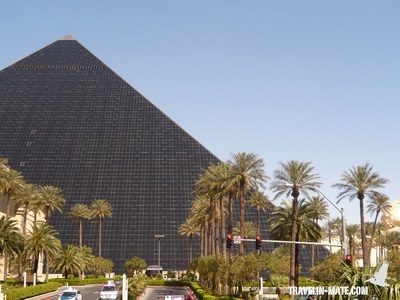 You even can go with a tram from Excalibur over Luxor to Mandalay. Volcano show @ Mirage (outside) – starting at dusk the volcano erupts every hour until 11pm spitting fire, moving water and having a terrific light show all choreographed to music. 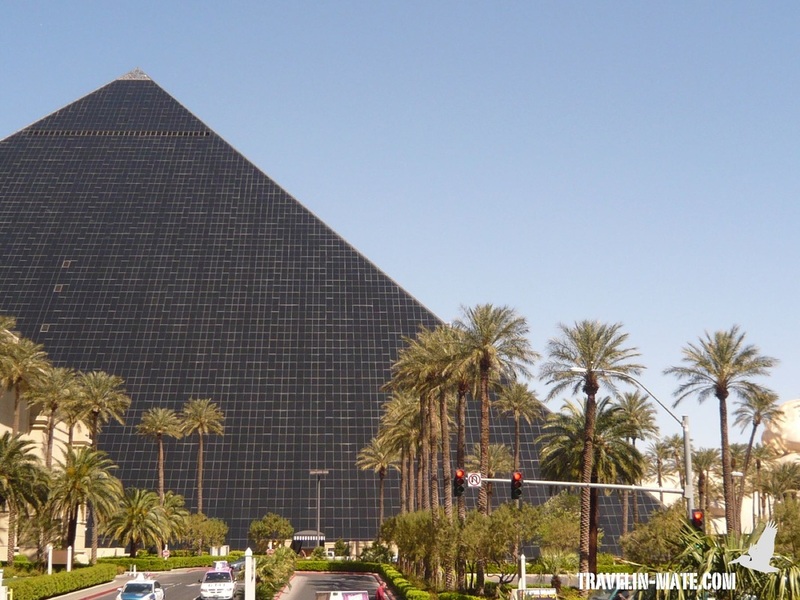 Combine the Mirage with a visit to Caesar’s or Venetian/Palazzo and Wynn/Encore. Sirens of Treasure Island @ Treasure Island (outside; good spot to watch it: balustrade at the opposite street outside Palazzo and Venetian) – 18 minute outdoor show based on Homer’s ‘Odyssey’ with pirates and sirens dancing and fighting each other. Once I saw a mother covering her child eyes, so some parts might not be appropriate for children. Daily 5:30, 7, 8:30 and 10 p.m. 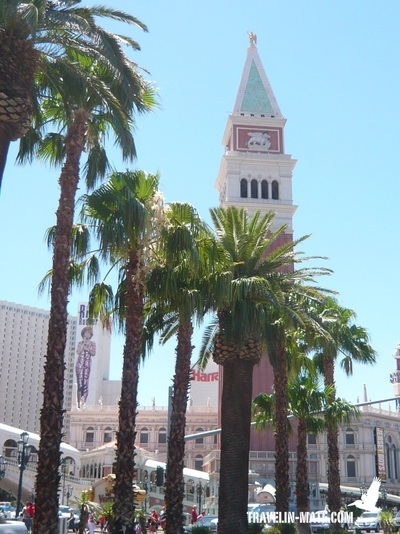 Combine the visit with Mirage, Venetian/Palazzo and Wynn/Encore. Thrilling attractions @ Stratosphere – Adrenalin junkies will find their happy place atop the 108th floor of Stratosphere. The ‘SkyJump’ offers you - similar to skydiving - a controlled free fall from the top, the ‘Big Shot’ whisks you 160 feet in the air in 2.5 seconds and then drops to shocking one negative G. And if this is not enough ‘X Scream’ a 69-foot-long open roller coaster-like wagon that is mounted to the base of the Stratosphere Tower's pod stops in midair at a 30-degree angle letting you feel like you are about to fly into the ground 900 feet below. Rides $12-13 each. Best time to come here is during night. 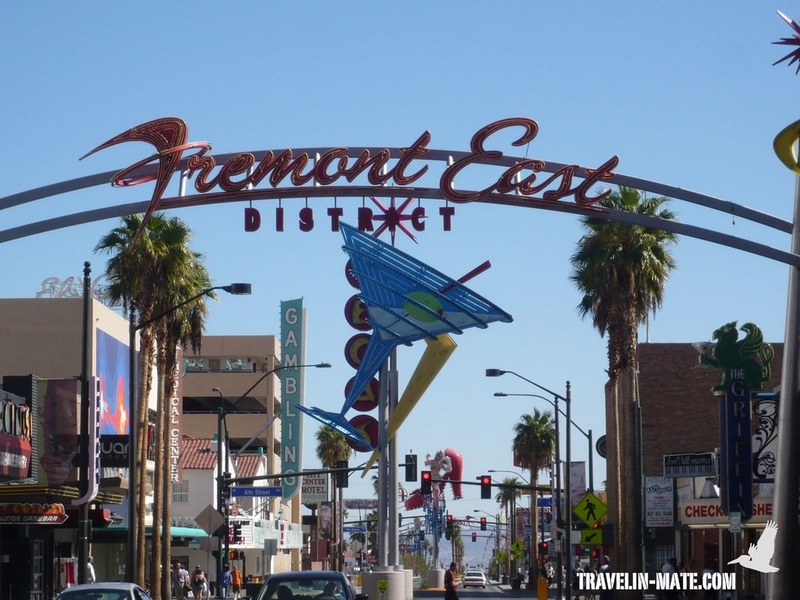 You could combine this visit with a trip to Fremont Experience. 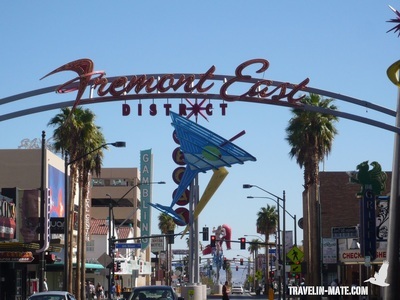 Along the 5 westernmost blocks of Fremont Street the city of Las Vegas built a pedestrian mall pulling visitors from the Strip back to the old Downtown entertainment mile. 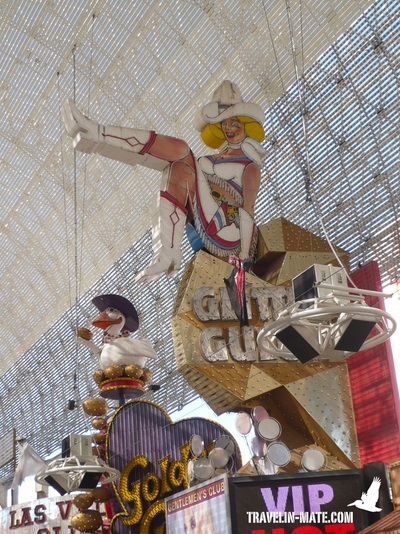 Within a retro atmosphere of old Las Vegas a barrel vault canopy containing 12.5 million LED lights is covering the ceiling. Each day starting from dusk changing multimedia shows are displayed to the visitors. Along the promenade old and restored casino signs were mounted at the facades drawing your attention. Moreover free concerts are hold on two stages daily. 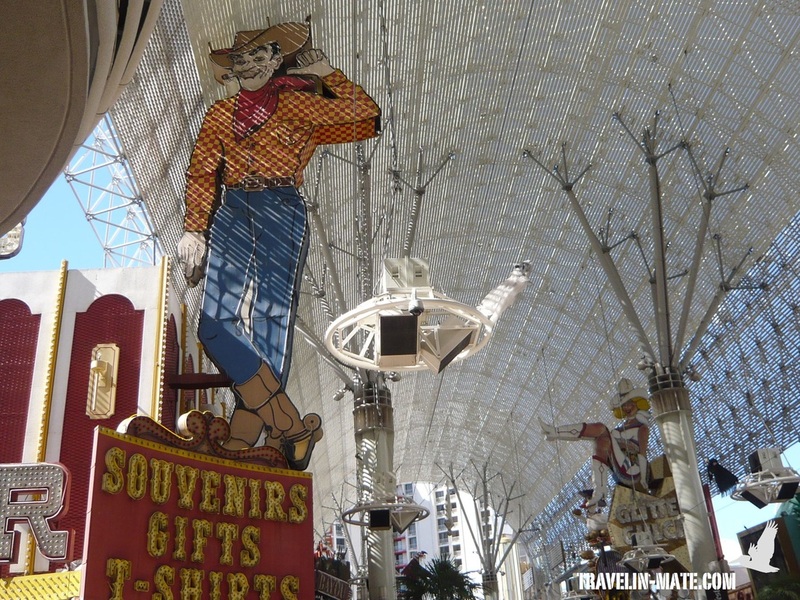 If you already know the Strip and like to experience a more down-to-earth and retro-like Las Vegas, you should pay Fremont Street a visit. 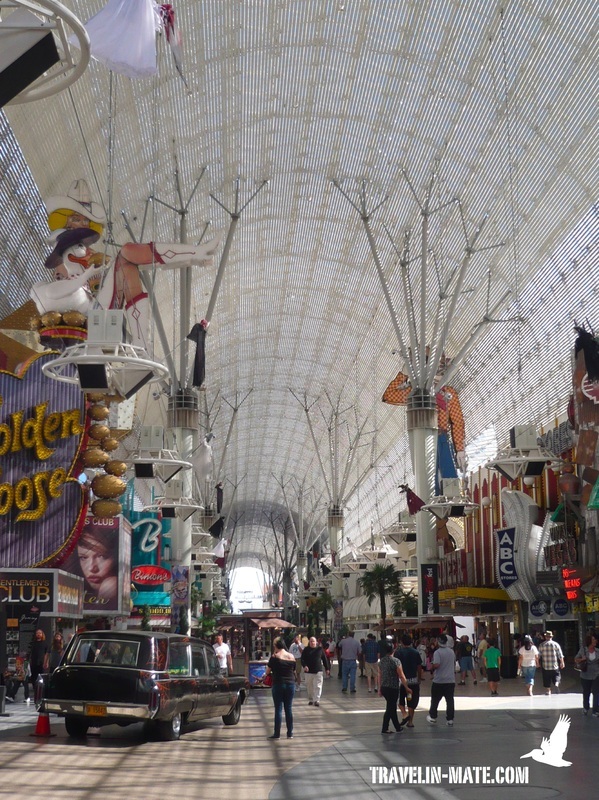 Besides, the prices are way under the ones at the Strip!